The Finance Minister Shri Arun Jaitley, in his Budget Speech 2015-16, had identified Bankruptcy Law Reform as a key priority for improving the ease of doing business and had announced that a comprehensive Bankruptcy Code, meeting global standards and providing necessary judicial capacity, will be brought in fiscal 2015-16. 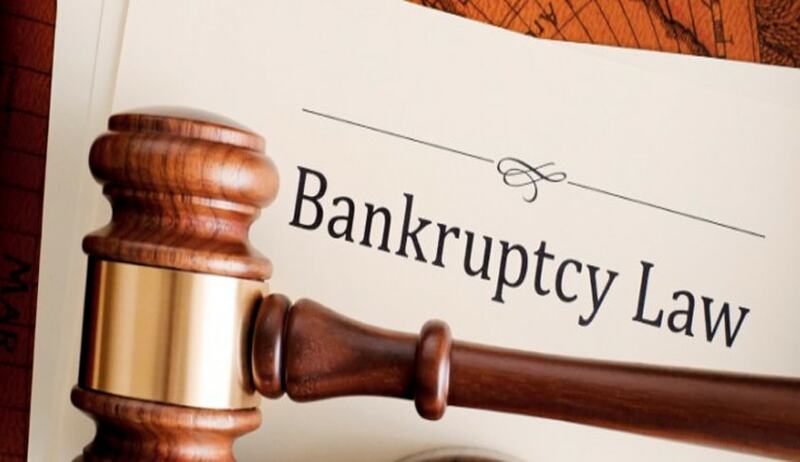 The Government had constituted a Bankruptcy Law Reform Committee under the Chairmanship of Dr. T. K. Viswanathan, former Law Secretary to look into various Bankruptcy related issues and give its report along with a draft Bill on the subject to the Government. Dr. Viswanathan submitted the Report of the Committee to the Finance Minister Shri Arun Jaitley in his office here today. The Report is in two parts: Volume I – titled “Rationale and Design” and Volume II – titled “Draft Insolvency and Bankruptcy Bill”. The Report, along with a brief summary of the recommendations, has been placed on the website of the Ministry of Finance at www.finmin.nic.in for stakeholder consultation. Comments/suggestions, if any, on the Report may be sent to the OSD (FSLRC & Law), Ministry of Finance, Deptt. of Economic Affairs, Room No. 30, North Block, New Delhi 110001, preferably by email at praveen.trivedi@nic.in by 19.11.2015. After taking the suggestions/views into consideration, the Government will take a final decision on the Report and introduce the Bill in Parliament as early as possible. A comprehensive draft Insolvency and Bankruptcy Bill covering all entities. The draft Bill has consolidated the existing laws relating to insolvency of companies, limited liability entities (including limited liability partnerships and other entities with limited liability), unlimited liability partnerships and individuals which are presently scattered in a number of legislations, into a single legislation. The committee has observed that the enactment of the proposed Bill will provide greater clarity in the law and facilitate the application of consistent and coherent provisions to different stakeholders affected by business failure or inability to pay debt and will address the challenges being faced at present for swift and effective bankruptcy resolution. The Bill seeks to improve the handling of conflicts between creditors and debtors, avoid destruction of value, distinguish malfeasance vis-a-vis business failure and clearly allocate losses in macroeconomic downturns. Insolvency Regulator:The Bill proposes to establish an Insolvency Regulator to exercise regulatory oversight over insolvency professionals, insolvency professional agencies and informational utilities. Insolvency Adjudicating Authority:The Adjudicating Authority will have the jurisdiction to hear and dispose of cases by or against the debtor. The Debt Recovery Tribunal (“DRT”) shall be the Adjudicating Authority with jurisdiction over individuals and unlimited liability partnership firms. Appeals from the order of DRT shall lie to the Debt Recovery Appellate Tribunal (“DRAT”). The National Company Law Tribunal (“NCLT”) shall be the Adjudicating Authority with jurisdiction over companies, limited liability entities. Appeals from the order of NCLT shall lie to the National Company Law Appellate Tribunal (“NCLAT”). The draft Bill proposes for information utilities which would collect, collate, authenticate and disseminate financial information from listed companies and financial and operational creditors of companies. An individual insolvency database is also proposed to be set up with the goal of providing information on insolvency status of individuals. : The draft Bill proposes to revamp the revival/re-organisation regime applicable to financially distressed companies and limited liability entities; and the insolvency related liquidation regime applicable to companies and limited liability entities. The draft Bill lays down a clear, coherent and speedy process for early identification of financial distress and revival of the companies and limited liability entities if the underlying business is found to be viable. The draft Bill prescribes a swift process and timeline of 180 days for dealing with applications for insolvency resolution. This can be extended for 90 days by the Adjudicating Authority only in exceptional cases. During insolvency resolution period (of 180/270 days), the management of the debtor is placed in the hands of an interim resolution professional/resolution professional. An insolvency resolution plan prepared by the resolution professional has to be approved by a majority of 75% of voting share of the financial creditors. Once the plan is approved, it would require sanction of the Adjudicating Authority. If an insolvency resolution plan is rejected, the Adjudicating Authority will make an order for the liquidation. order of priorities [waterfall] in which the proceeds from the realisation of the assets of the entity are to be distributed to its creditors is also provided for. Bankruptcy and Insolvency Processes for Individuals and Unlimited Liability Partnerships:The draft Bill also proposes an insolvency regime for individuals and unlimited liability partnerships also. As a precursor to a bankruptcy process, the draft Bill envisages two distinct processes under this Part, namely, Fresh Start and Insolvency Resolution. In the Fresh Start process, indigent individuals with income and assets lesser than specified thresholds (annual gross income does not exceed Rs. 60,000 and aggregate value of assets does not exceed Rs.20,000) shall be eligible to apply for a discharge from their “qualifying debts” (i.e. debts which are liquidated, unsecured and not excluded debts and up to Rs.35,000). The resolution professional will investigate and prepare a final list of all qualifying debts within 180 days from the date of application. On the expiry of this period, the Adjudicating Authority will pass an order on discharging of the debtor from the qualifying debts and accord an opportunity to the debtor to start afresh, financially. In the Insolvency Resolution Process, the creditors and the debtor will engage in negotiations to arrive at an agreeable repayment plan for composition of the debts and affairs of the debtor, supervised by a resolution professional. The bankruptcy of an individual can be initiated only after the failure of the resolution process. The bankruptcy trustee is responsible for administration of the estate of the bankrupt and for distribution of the proceeds on the basis of the priority. Transition Provision: The draft Bill lays down a transition provision during which the Central Government shall exercise all the powers of the Regulator till the time the Regulator is established. This transition provision will enable quick starting of the process on the ground without waiting for the proposed institutional structure to develop. Transfer of proceedings: Any proceeding pending before the AAIFR or the BIFR under the SICA, 1985, immediately before the commencement of this law shall stand abated. However, a company in respect of which such proceeding stands abated may make a reference to Adjudicating Authority within 180 days from the commencement of this law.